Hops. Malt. Barley. Yeast. Water. Just a few simple ingredients are all it takes to produce one of the world's most popular beverages - but doing it well is a true art. Discover the best of Canada's thriving craft beer culture this weekend at the Toronto Festival of Beer. Taking place from Friday, July 22 through Sunday, July 24, this frothy celebration features tastings from more than 120 breweries. Over 30,000 people flock to the festival, which is now in its 17th year. 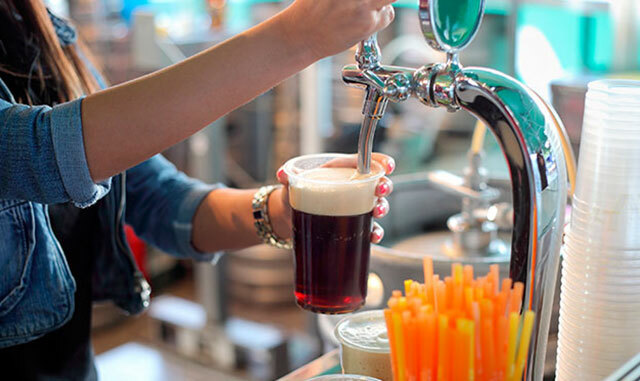 Discover your new favorite brew, enjoy delicious gourmet food, and listen to bands and DJ music. Tickets for the event are available for advance purchase online, and range in price from $42.50 to $80.50 plus taxes and fees. You'll find the Toronto Festival of Beer at Exhibition Place, located at 100 Princes' Boulevard - just 3 km away from our luxury hotel. Stay with us, and treat yourself to a convenient central location, plush accommodations, and premium amenities - including an indoor pool, fitness center and spa. We're ideally located to explore all the best Toronto events. Do you have questions about our hotel? Ready to make a booking? Please contact us today for more information and to book your reservations. Enter your e-mail address to receive our exclusive offers & promotions at InterContinental Toronto Centre.